…where all the helpful tools and resources are gathered in one place. Calisthenics books that will help you train effectively and in the right way – no need to waste your time by training ineffectively. A Diet book that will help you lose fat and build muscle – simultaneously. Training equipment that is necessary – if you want to get the most out of your training. A list of helpful websites & Youtube channels that will further assist you in becoming stronger and healthier. Keep in mind that I have personally tried and still use most of the products I recommend – you can be pretty sure that they have worked well at least for me. Furthermore, for every tool and resource, I write a short review. That way you’ll be able to know if something is good for your goals or not – without having to invest in it. However, if you think that a resource can be helpful for YOUR goals, I strongly recommend that you indeed invest in it. How Serious Are You About Your Training Goals? How much are you willing to invest to achieve your goals 2, 3 or even 10 times faster? Because this is what these resources can do for you. They can literally shave 1-2 years off your training curve. Instead of trying to figure out everything by yourself through trial and error, you’ll get access to tested and scientifically proven methods right away. This might not seem like a big deal to you right now. But if you choose the trial and error approach, you may achieve your goals 1-2 years more slowly (no matter how hard you’re training) or… not achieve them at all! Some of the links below are affiliate links, which means that I earn a small commission if you decide to make a purchase. This commission comes at no additional cost to you but helps me maintain this website. I promote these products because I believe they will be helpful to you and not because of the commission I make if you decide to buy. For this reason, I’ll also include a non-affiliate link for every affiliate product. Never Gymless is the book that helped me the most in my training. And I believe it will be at least as helpful for you. 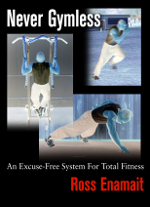 There are many great calisthenics books. But what makes Never Gymless be in the top of the list is its chapter on program design. A sample 50-day training plan that you can follow right away. Simple and detailed programming principles that will help you create your own program and target YOUR goals effectively. Clear explanation and examples that will help you avoid unnecessary confusion and mistakes. 23 workout samples to choose from – to become stronger, more explosive and better conditioned. No other calisthenics book (from the ones I’ve read) has such a comprehensive chapter on program creation. Everything is included – strength, explosiveness, core training, speed, conditioning, and isometrics – the only thing not covered is gymnastics skills (eg. front lever). Never Gymless is great for beginners and intermediate trainees. The following books are great for beginners but they can be valuable to more advanced trainees as well. 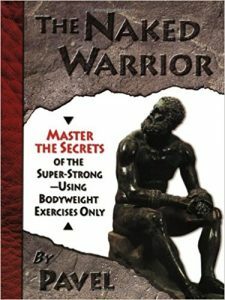 The Naked Warrior helped me achieve the one arm push up and the pistol squat. How to approach strength as a skill and why it’s important – this will help you achieve advanced moves and grow stronger, faster. How to use the GTG method for strength and endurance – this is one of the best ways to build maximum strength in minimum time. The Power Breathing technique – This simple technique will allow you to exert more strength instantly. This book is NOT for complete beginners. The Renegade Diet is simple, straightforward, and effective. 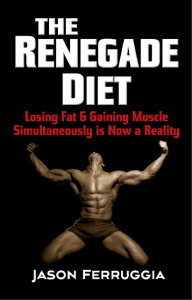 For more information, you can read my review or check out The Renegade Diet. 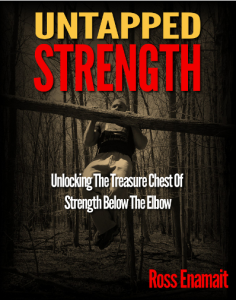 Untapped Strength is a great resource for lower arm strength training. Then Untapped Strength is the book you’ve been looking for. For intermediate and advanced athletes. If you want to get stronger without weights, a pull up bar is a MUST! If you don’t have access to a pull up bar, then the Door Pull Up Bar can be one of the best investments you will ever make. Your legs will probably touch the floor in the dead hang position. So, you’ll have to train with bent legs. – Not that big of a drawback, but still. It is going to damage the door frame over time. However, you can fix this by adding something soft at the sides of the pull up bar. You can’t perform certain exercises – like muscle ups. I personally use a Door Pull Up Bar with no problems other than the 3 downsides described above. No matter which tool you choose, you have to do your pull ups! Lastly, before buying any of the above options, make sure that your wall/door/ceiling is suitable for the installation of such a tool. The AB Wheel is one of the best gadgets for core training. And most importantly… You can train with one of the best core exercises: The standing wheel roll out! There multiple variations of the AB Wheel. I’ve personally been using the simple one (with 2 wheels) without any problems. The Jump Rope is a great tool for building endurance and coordination. You can easily include jump rope exercises in conditioning circuits or at your warm ups. It has been said that the Gymnastics Rings are the best tool for upper body strength. Every exercise you perform in the Gymnastics Rings is going to be harder than regular. Be it push ups, pull ups, dips or handstands. In addition, the rings can help you progress towards advanced calisthenics movements like the one arm chin up by training with archer pull ups. The only “drawback” of the Gymnastics Rings is that it can be hard to install inside your home. Usually, I hang them in my pull up bar when I train indoors or some tree when I train outdoors. If you’re still a total beginner, you don’t need rings just yet. A timer may be the most important training equipment there is! Having a timer will allow you to measure your rest between sets accurately. This is really crucial because based on your goals you will need different rest intervals. Training for maximal strength, for example, requires different rest intervals from endurance training. Fortunately, you can install a timer for free on your smartphone or computer. Ross Training – Great resource, mostly focused on simplicity of training and motivational posts. Mark’s Daily Apple – My go-to resource for lifestyle ideas. Ido Portal – Great insights on movement and training. A Shot Of Adrenaline – Lots of information on bodyweight training. Progressive Calisthenics Blog – Great articles on bodyweight training. Charles Poliquin – Excellent tips and advice for strength training. Arthlete – Very good tutorials for bodyweight exercises. Antranik – Some of the best calisthenics training guides. Red Delta Project – Wanna build muscle with calisthenics? Then, you HAVE to check this out!